EzyDog has created a line of harnesses for dogs of all shapes and sizes including smaller dogs. Expect the same comfort and safety features for your small dog that come standard in all EzyDog Dog Harnesses. EzyDog’s small dog harnesses feature lighter weight clips and narrower webbing to create a more comfortable fit that are size appropriate for your smaller pup. Reflective stitching is incorporated in each harness for visibility in low light areas. The Quick Fit Dog Harness is an especially good fit for our smaller friends. 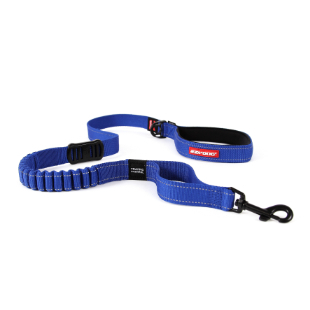 With a single clip system, this harness is as simple as a collar with all of the benefits of a harness. The soft EVA Chest Plate Harness molds to your dog’s chest for a custom fit. It comes with a free car restraint so that you can keep your little buddy from wondering around the vehicle during the ride. The Convert Dog Harness has a handy top-handle and allows you to customize a personal message on the side badges of the small dog harness, a great way to personalize it for your little guy! 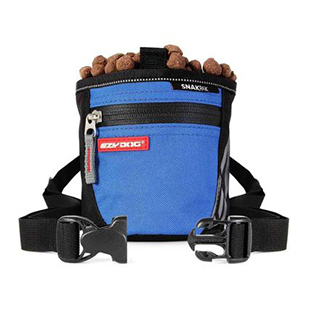 Whether you are looking for an everyday dog harness for walking, running or training rest assured that EzyDog will have the perfect match for your small dog.